Home / Unlabelled / Genevieve's Lionheart on Netflix, a million milestone! 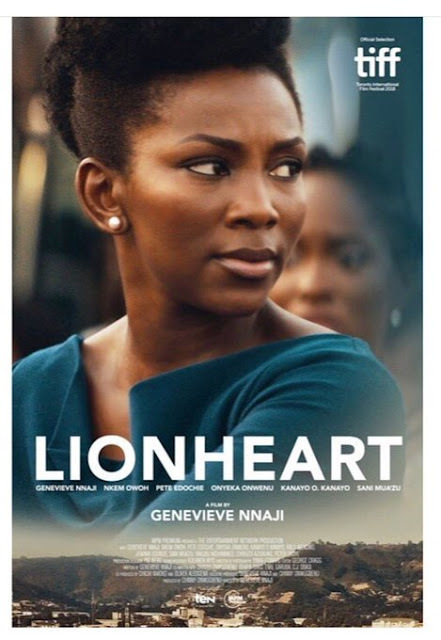 Genevieve's Lionheart on Netflix, a million milestone! Genevieve recently made history with her directorial debut, Lionheart. The film, which debuted on Netflix Friday, centres around a woman who has to step up to help run her father’s company. It became Netflix’s first original film from Nigeria. The movie, which centers around Eastern region of Nigeria had Nollywood veterans like Pete Edochie, Nkem Owoh, Onyeka Onwenu, Kanayo O Kanayo among others.